We have been trying to raise awareness of green spaces through arranging events and support, where we can, for those many smaller “neighbourhood” green spaces which are run by volunteers. FH Soc volunteers worked with Lewisham’s Nature’s Gym to prepare Albion Millennium Green (AMG) for the May Day planting of 13 fruit trees, with money obtained from the Ward Localities Fund. AMG is now thriving, with an increase in species diversity noted, including sightings of the rare Jersey Tiger Moth. The interactive Google map has now received 1500 hits. A “Friends of AMG” meeting is planned to discuss further work: clearing more undergrowth, the creation of a dew pond water feature, the need to renew the collapsed boundary wall with fence/tree planting and possibly organise a fundraising event. Anyone interested would be welcome to come to the meeting at the All in One Pub (along from the Perry Rise station exit) at 7.30 on Friday 29th October. The E & L Committee has also been supporting the work of the Devonshire Road Nature Reserve. Their programme of events includes a gardening group which meets every Friday morning and a Muddy Boots toddlers group every second Saturday morning. There was an Apple Day 3rd October 1-5.00pm, and a Hallowe’en (lamps and lanterns) event will be held in the afternoon on Sunday, 31st October. Other activities have included an outing with Sydenham Society in April to Brogdale, the home of the National Fruit Tree Collection, and a guided walk around Sydenham Hill Woods with historian Steve Grindlay and Ashley from the Wildlife Trust. We have also been highlighting the presence of the highly invasive Japanese Knotweed to the appropriate authorities when this has been reported to us. Please keep reporting this. 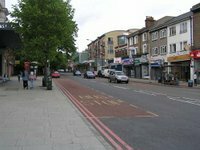 We have joined Lewisham’s Services Manager and the Forest Hill Traders’ Association in town centre walkabouts, identifying (as ex-Cllr Russell’s Street Clutter report had done) areas where improvements could be made, e.g. removal of the industrial rubbish bins which constantly line the main streets of the centre. It was agreed pressure should be kept on improving the town centre and that we should continue with the walkabouts, with another requested for this autumn. 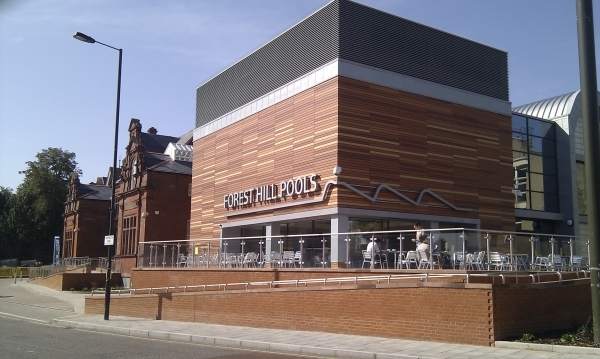 A successful link was established between FH Station’s Manager and Shannon’s Garden Centre with Shannon’s generously donating and planting up the flower tubs at the main entrance to the Station, but no progress had been made with the acquisition of planters for the station platforms. Regarding lack of flower baskets on lampposts in the town centre, and the question of flower troughs on street railings, as the FH Society has decided to enter “London in Bloom 2011”, we will be concentrating on this in the Spring. The Horniman Museum has agreed to be involved as have the residents’ association of the Eliot Bank estate. A small sub-committee will probably be needed to concentrate on this project. Future events will include organising a Community Open Day at Dacres Wood in March. There is an opportunity to be involved in the restoration of the ancient hawthorn hedge at the Horniman Triangle, working with Nature’s Gym, on Thursday, 6th December 11.00-2.00pm. There will also be the installation of a stag beetle loggery with interpretation board, which should help promote and enhance Biodiversity in Lewisham. Following a lead from “Dulwich going greener” we are looking at the possibility of holding a “give and take” day where unwanted items could be deposited and swapped, free of charge, for something which is needed. We have discussed re-cycling generally, but have specifically suggested an electrical goods re-cycling point should be established at a convenient local point, possibly at Sainsbury’s car park and will continue for work towards this. We are also planning an Executive Committee visit to Lewisham’s recycling plant to see how the work is organised. The Environment and Leisure Committee would welcome new members and their ideas for future activity. Our next meeting will be towards the end of November.